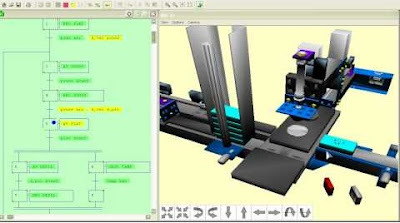 AUTOMGEN8 is a workshop for automation, supervision and simulation of 2D and 3D operative parts running on Windows PC. It is used in teaching from classes of seconds for the learning of automatisms and in the industry for the development of applications. The exceptional user-friendliness of the development environment allows the automation engineers to concentrate on their core business.